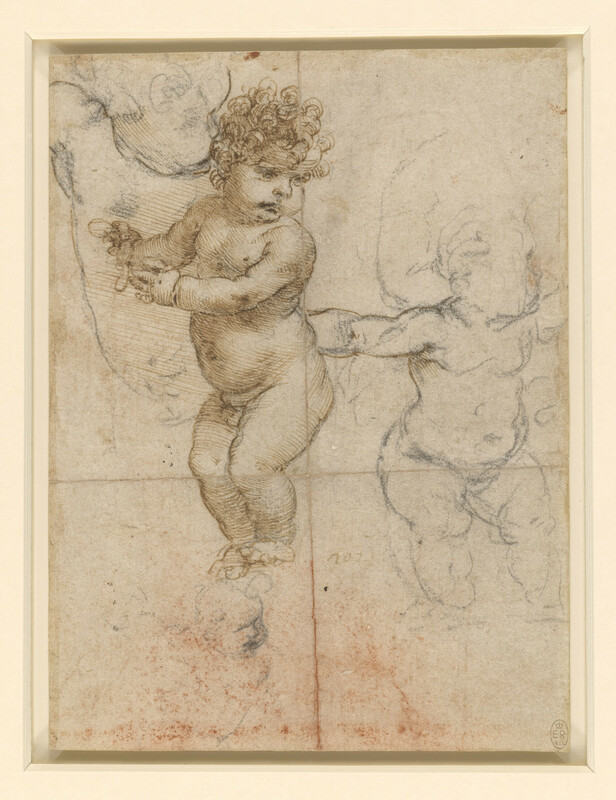 Several studies of the head and body of a naked child Leonardo almost certainly made these spontaneous sketches from the life. The study on the right-hand side of the sheet, of an infant leaning forward with an outstretched arm, captures the child’s effort to balance as he unsteadily gets up. These were probably made as preparatory sketches for a painting of the Christ Child.